A new purchase for 2013 was a Peavey Rockingham guitar and today I’d like to tell you the story behind it. It all started back in November when a student of mine arrived with any extra guitar case. I was intrigued from the get go! This student travels a lot with his job and is his own boss. One of his hobbies is going to auctions and trying to profit by re-selling the items on eBay, and as a side income, he does quite well (I’ve been with him to a few auctions, so can verify this). Anyway, he got the guitar out and asked me what I knew about it and how much I would recommend him selling it for. Luckily for him, I knew quite a bit about the Peavey Rockingham guitar, having read an interview with Darrel Higham (Imelda May) to promote the launch of the guitar back in 2007! Yep, if I’m that interested I’ll remember it! Darrel was the brains behind the guitar and is a great rockabilly guitarist as well. 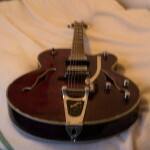 The Peavey Rockingham is I believe based off a Gretsch G6120, one of the differences is the Rockingham has two humbuckers rather than a P90 in the neck and single coil in the bridge. They seem to only have released in the UK, although I have seen some on eBay in the US. Plus it doesn’t seem to have been sold for that long or produced in vast quantities. Other than that, I knew nothing! Anyway, since getting more and more into jazz, I’ve been looking for a semi-hollow body guitar to really learn on and this seem to fit the bill. My student let me keep the guitar for a week to really “try” it out! I knew, he knew, everyone within ear shot knew I loved this guitar from the first moment. My student didn’t like it as he’s a Strat player and likes small bodied guitars he can get around easily on and since he’s just starting out, a Stratocaster is probably the easiest guitar for him to learn on. It’s safe to say that even after a week playing it most days; I’d fallen in love with it and just had to have it. But there was one small problem. Oh no!! If you’re like me, you’re changing your set up fairly often, especially seen as I’m playing for a range of different artists, each with their own style and sound. The one thing I don’t often change is the guitars in my line-up – for example, I’ve had the Epiphone Les Paul Gold top for about 10 years now and the Gretsch Duo Jet for about 6. When I get called to play electric on a gig, I’ll grab one of those and not from the others in my small collection! Like yours, my pedalboard is constantly changing and evolving. The other thing I’ve realised is there’s no point having guitar sitting around waiting to be used. My Strat was a lot like that. I haven’t used it for a while as people book me for my sound and what I bring to the table. And for me I just can’t get a Strat to sound how I want it to, whereas the other two guitars always sound killer. It’s not that the Strat is a bad guitar, it just that it doesn’t sound how I hear guitar sounds in my head. So I decided to trade the Strat for the Rockingham! Did my student get a great deal? Yes, he got a proper Fender Stratocaster guitar for very little money. Did I do just as nicely? 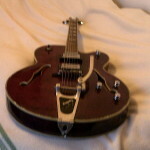 Of course; I got a guitar which I love and want to play! I like the low output humbuckers. As the other two main guitars I’m using are also low output, this guitar fits in well. Plus I don’t have to change amp settings (which I’m more than likely to forget to change back!) 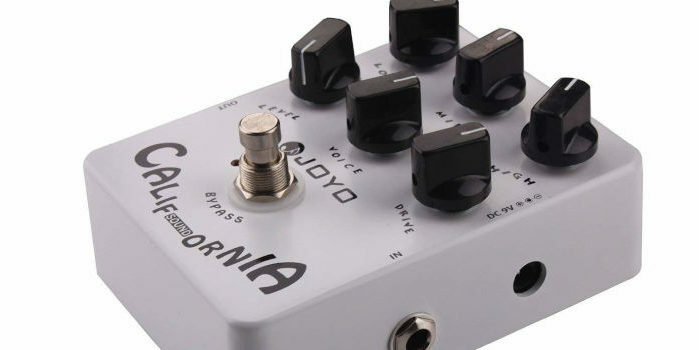 or to click in a boost pedal in order to level out the guitars. So in that respect, it’s good. I also like darker sound guitar and this is fairly dark and mellow sounding. It still bites on the bridge pick-up but it’s a musical sound and not too bright! Also, I can use the guitar to play a range of different styles and it works for each of them. 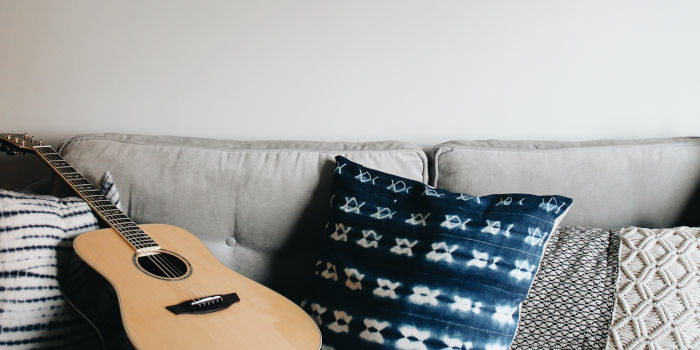 Whether that’s jazz, blues or country – the guitar allows the personality of the style through while maintain its own sound. To assume you can only use this guitar for rockabilly is to limit how great this guitar sounds in general. I like the neck. The neck isn’t that fat, I would expect it to be fatter and more like an acoustic but it’s nice and allows me to play pretty quick. This is a big positive for me, I have fairly small hands and so I like necks that are easy to move around and fit comfortably in my hands. Nice! It also looks dam cool and that counts for something, right?! What I don’t like is the wiring! It makes no sense to me to have each pickup on a volume control then an overall volume and tone controls. Maybe it’s just me! 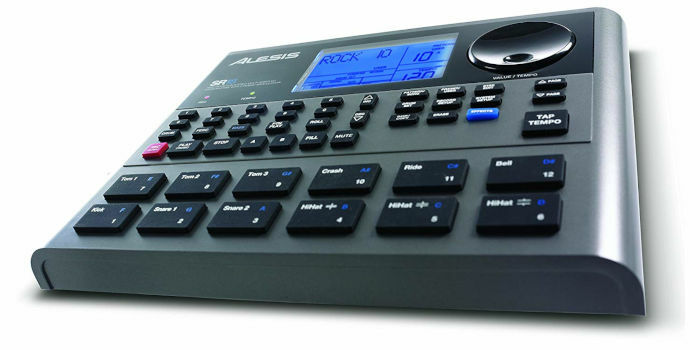 I generally turn everything to 10, then use a volume pedal for overall level. Also I change my picking attack or hand position to get a range of different guitar tones and volumes. 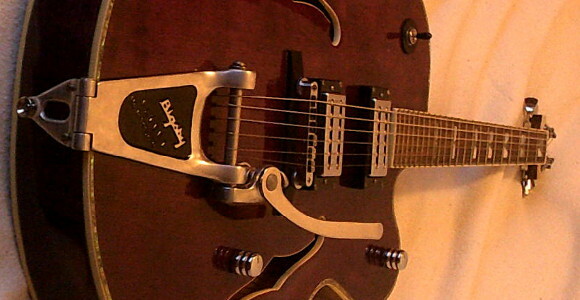 I also don’t get the Bigsby, it could be that when I first got the guitar but it had really heavy strings (I think 12s or 13s) and therefore the Bigsby was at best subtle. 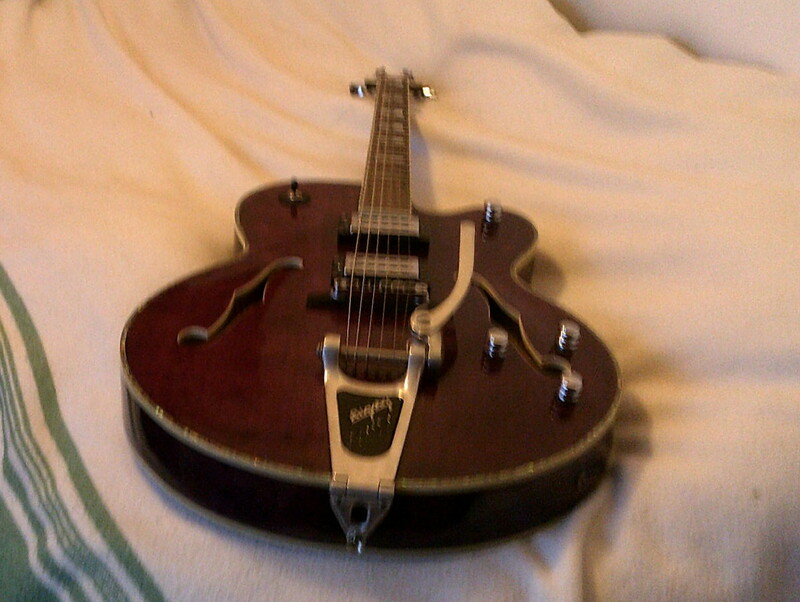 Now, I have restrung with 10s, so the Bigsby should have more life in it. The Bigsby in the long run might be changed for a hard tail as I’ll keep using the Gretsch with the Bigsby for when I want that option. The small negatives to one side, I really love this guitar and plan to use a lot this year! What was your best purchase of 2013? Just got this guitar for 450€ from a man that have plenty of guitars and wanted it to be played instead of being just pretty. I kind of like it but I can’t get the sound I want out of it. The sound is a little harsh and thin. Maybe it’s just picks height or the fact my lead guitarist turns every knob to the max on its musicman. Without knowing what you’re playing through (amps and pedals etc. ), I can’t offer you a ton of specific advice! I hope that helps, let me know what you do to get a better tone – I’d love to hear that! I bought a Vox AC15VR amp and I like it with this guitar. I am playing mostly pop/rock with a litle bit of bluesy and groovy stuff. Only rythm, and no pedals. My next move will be changing pickups an rewiring. The stock ones are okish but very bright for my taste (I would even say harsh). Would you have any advice ? Also I don’t really get the way knobs are supposed to work.